The digital camera market will continue to fall for the next two years before it hits rock bottom, at which time it could have shrunk by almost half. That's the bleak forecast from Canon CEO, Fujio Mitarai. 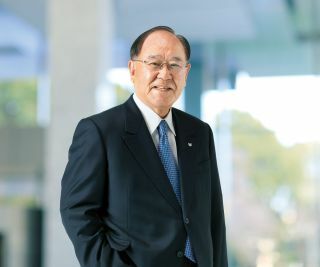 In an interview with the Nikkei (spotted by Mirrorless Rumors and translated by Digital Camera Info), Mitarai stated Canon's intention to shift its business to corporate customers in response to the grim market trend. "In our company cameras have declined at around 10% a year in the past few years. The world market for interchangeable lens cameras is around 10 million," he said. "The mirrorless product is growing, but it is a replacement [for] single lens reflex, it is not adding to the market as a whole." According to Mitarai, smartphones are the primary reason that the market is facing such challenging conditions. "People usually shoot with smartphones.The digital camera market will keep falling for about two years, but professional and [advanced] amateurs use about 5 to 6 million units. Finally [the market] will hit the bottom." The digital camera market has been in decline for some time, but it was hoped that the release of full-frame mirrorless cameras like the Canon EOS R and Nikon Z7 would reinvigorate things. Unfortunately, as Mitarai notes, mirrorless cameras are simply replacing DSLRs – they aren't resulting in new camera adopters. With a move to service corporate customers, it seems likely that Canon's product line – particularly its compact cameras and lower end DSLRs – might be in jeopardy. With rumours continuing to swirl about professional versions of the EOS R, it looks like Canon is starting to put its eggs into one basket.